While we don’t have any market research, the eyes don’t lie. If you go to conventions and comic book stores, more and more female readers are emerging. They are starved for content and looking for content they can relate to. 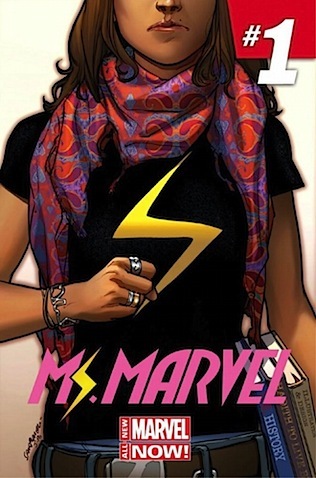 While making the rounds promoting Marvel’s new series Ms. Marvel, the above quote was made in discussing the female comic readership. Other than DC’s attempt at market research conducted with Nielsen, the market research done to figure out the readership and fandom of comic books pales in comparison of, well, pretty much all other forms of entertainment. That is partially what got me to begin looking in to what data was available and attempt to figure out those demographic questions. Every month, I release new numbers looking at data readily available to anyone through Facebook. While it’s not necessarily everyone who shops up to comic shops, every Wednesday, regularly, irregularly, once in a blue moon, etc., these are people who have said they like “comics,” “graphic novels,” “manga,” and specific publishers. So, I’d have to disagree with Alonso, there is market research, and there potentially is a lot more market research using data available to Marvel, they just overlook it, or don’t admit they use it (Marvel, give me a call, I can hook you up). In February, the Facebook universe of self-identified comic fans grew to a new high of over 24 million fans in the United States. Of that 24 million, women account for 46.67% of that population. Since I’ve been tracking these stats, that’s the highest percentage of women recorded. With some changes on Facebook’s end, I can now see what terms have grown from the previous month, and in this case it wasn’t any single term, it was many of the over 100 used to compile the statistics. But what Alonso and Marvel is seeing shouldn’t be a shock at all when it comes to women and what interests them. In a September breakdown, I looked at just female comic book characters and who were fans of them. Exhausting a few lists online of every female comic book character, I found every term I could on Facebook for these stats. While the amount of people who like female comic characters was about 5.8 million, women made up a majority 62.07% of those fans. Shocker: women like female characters. While Alonso says Marvel doesn’t have hard numbers to back it up, that correlation, and Marvel’s wanting to expand their female readership (which I tracked at about 36.96%) explains their launch of new solo series for Black Widow, Elektra, She-Hulk, Ms. Marvel as part of All-New Marvel NOW! and greater focus on female characters in other books too. They see the phenomena my stats would predict. Knowing who is buying what is vital for any modern day business. Understanding demographics allows you to better market your product to a greater audience, and sell similar products better. To ensure a healthy comic book industry in the future, we need to know who makes up that audience today. In 2014, every publisher should be thinking about that, working to find the answers to that question, and using that information in actionable ways. Next Next post: What’s a Spam Trap?